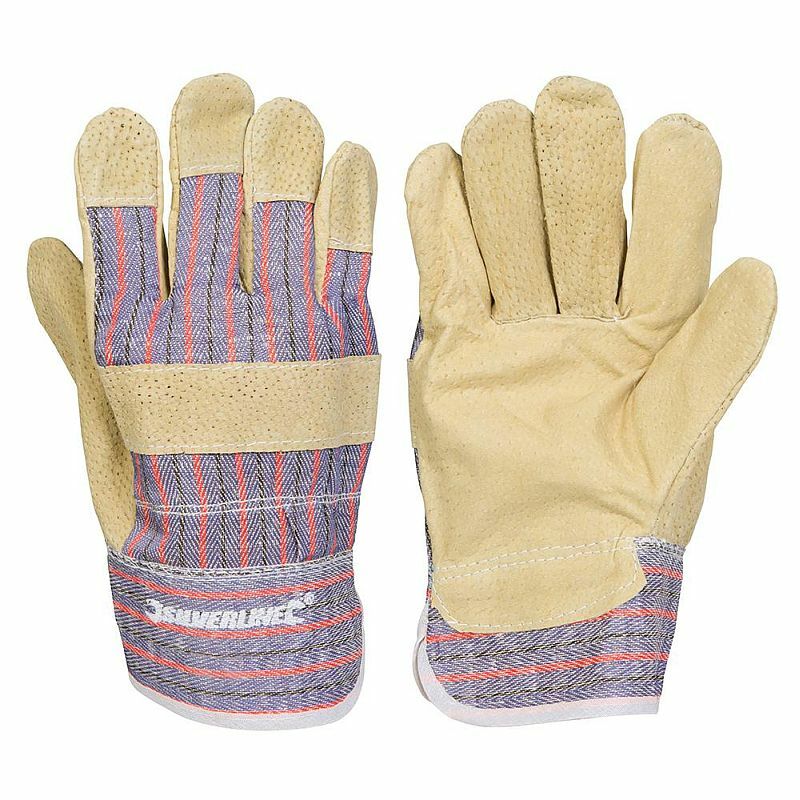 The Silverline Pigskin Rigger Gloves are cotton gloves with reinforced pigskin leather palms, knuckle panels and fingertips for enhanced protection and durability. Providing good dexterity and featuring a safety cuff that keeps dirt out of the glove, these gloves are ideal for low-risk manual tasks in construction, home improvement, maintenance and rigging. These rigger gloves have been reinforced with pigskin leather, a material that provides greater flexibility and comfort than cowhide leather. In addition, pigskin leather offers twice the abrasion resistance of cowhide leather, making it the superior choice for work gloves. The Silverline Rigger Gloves are available in one universal size. Due to the stretchy nature of the elasticated back of the glove, this size should be suitable for most users.